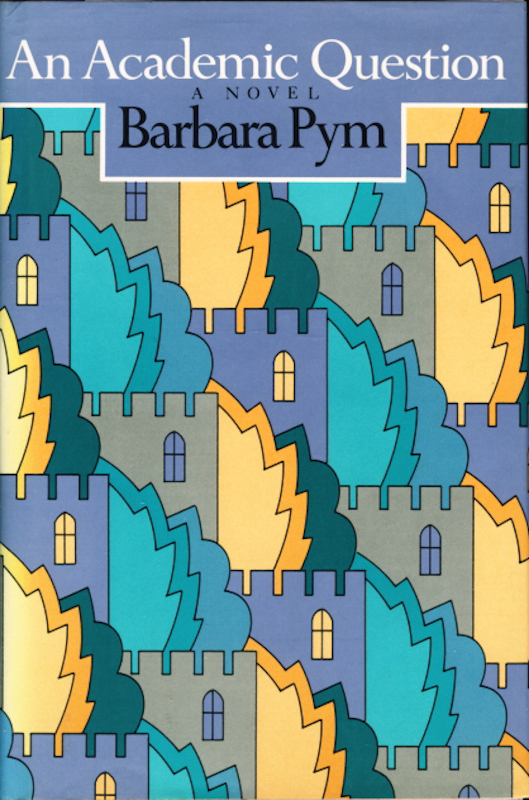 Long before I knew who Barbara Pym was, I knew what her books looked like. The American hardcover editions were all published by E.P. Dutton and featured distinctive cover art with repeating patterns evocative of wallpaper. I remember shelving those Duttons in high school in the late 1980s when I worked at the local library in my small hometown in central Minnesota. Over the years I would bump into them at other libraries as I browsed for reading material. 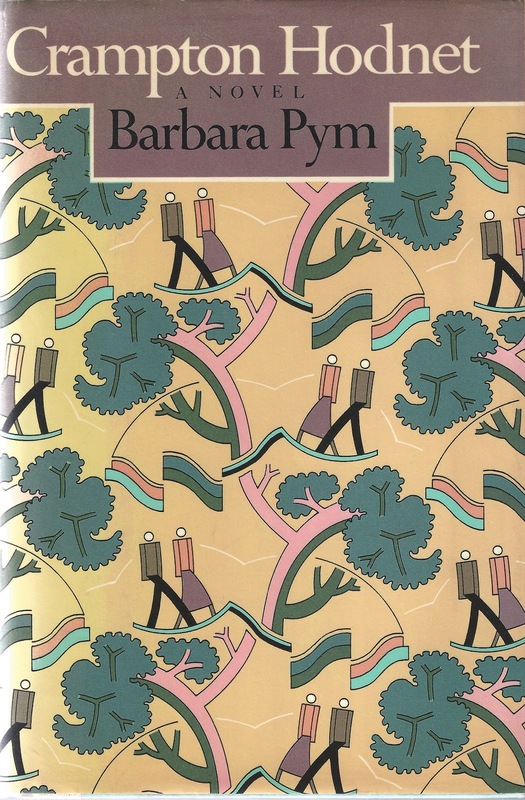 When I decided to give Pym a go in 2002, I remember thinking to myself that I was finally going to read one of those books with the memorable covers. Happily, the rather shabby West End Library here in DC had a shelf of them just waiting for me. 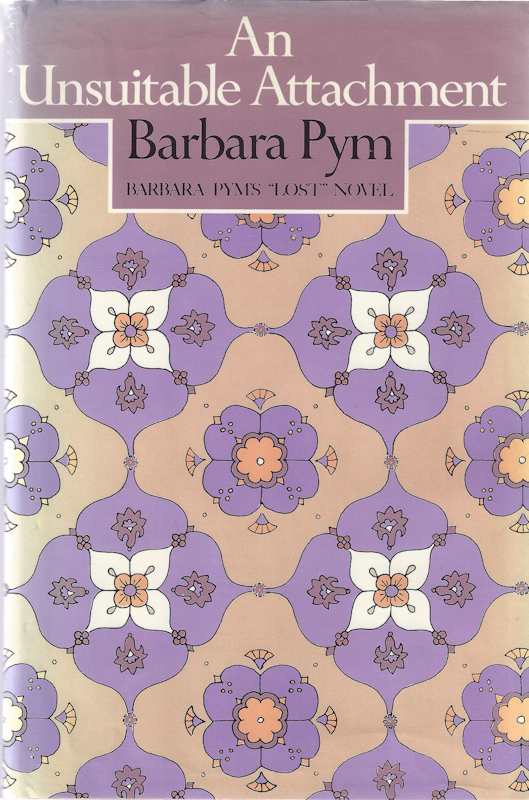 I’ve recently managed to collect all of Pym’s novels in the Dutton editions. Intrigued by those Dutton covers I went on a Google hunt to find out more about their creator Jacqueline “Jackie” Schuman. The Googs came up with quite a few credits for these Pyms and other book covers designed by Schuman. 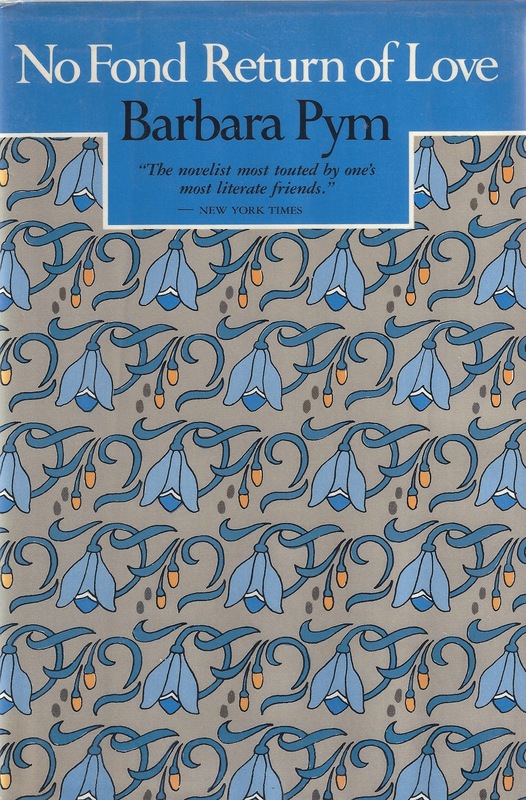 Most notable is the wonderful Colette series published under the Noonday imprint by Farrar, Straus and Giroux. 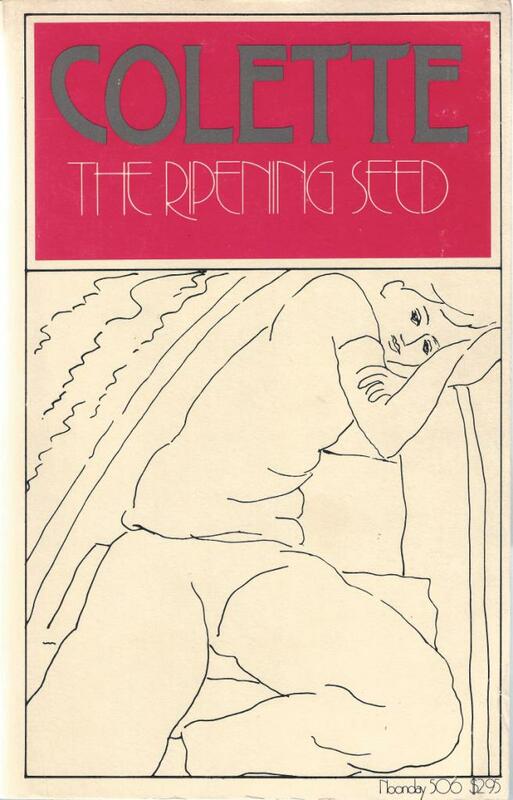 It was a delight to find out that the old copy of The Ripening Seed sitting on my shelf was one of Schuman’s designs..
Then it occurred to me to see if the New York Times online had any items that referenced Schuman. Within about an hour of doing that New York Times search, I was on the phone with Jackie’s daughter Kathy Schuman who was happy to talk about her mother’s life and work. Jackie was born Jacqueline Wilsdon on May 3, 1935 in Windsor, England and lived with her parents at 19 Worple Close in Harrow. During World War II, she was sent out of London to live in the country away from the dangers of the Blitz. Not long after the war Jackie and her mother emigrated to the U.S. arriving in New York on February 8, 1947 on an American Overseas Airlines flight. Kathy says that her mother was teased for her English accent and quickly went about adopting an American accent that would last the rest of her life. Jackie attended the High School of Music and Art, better known in New York simply as Music and Art. At age 16 in 1951–around the time Pym was working on Excellent Women and Jane and Prudence,–Jackie spent two months in England visiting her father. After high school Jackie attended Cooper Union at night while working during the day. In her early career she was on the staff at the advertising firm Ogilvy and Mather, and then later worked at Doubleday and Co., Harper and Row, Viking Press, and Grossman Publishers. Jackie was married to oboist Henry Schuman but the couple divorced when Kathy, their only child, was still young. 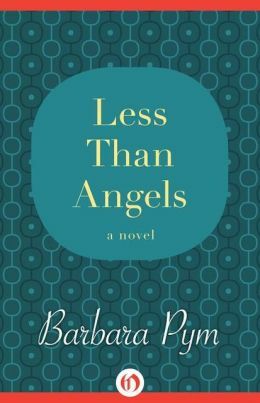 In 1972 she struck out on her own and did freelance work for most of the major New York publishing houses until her death in 2001. Kathy says her mother always did her work the old fashioned way, drawing and lettering by hand and cutting and pasting by literally cutting and pasting. By the time computers were in widespread use in graphic design Jackie felt she was old enough and advanced enough in her career that it she didn’t need to learn the technology. Jacqueline “Jackie” Schuman in the 1970s in front of one of her paintings. 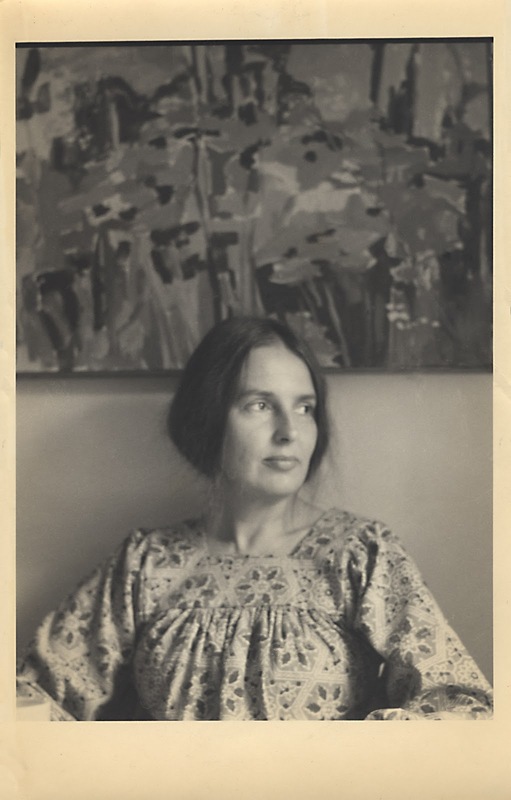 When she wasn’t working, Jackie was an avid reader, a music and opera fan (and a friend of New York Times music critic Anthony Tommasini), sewed, made non-traditional patchwork quilts, and took and developed photographs. In the 1970s she did some abstract paintings but later decided she didn’t like them and destroyed all but three of her pieces. Jackie died of cancer on July 20, 2001 at the age of 66 (incidentally the same age as Pym when she died of breast cancer in 1980). Given that Schuman died at a time when the Internet was not quite the catch-all that it is today, it was easy to understand why she didn’t leave much of a digital footprint. It seems appropriate that as we celebrate the work of Pym, an artist whose work almost disappeared, that we recognize another artist whose work shouldn’t disappear. The covers for the Moyer Bell editions and the recently issued Open Road Media editions of Pym’s novels seem like a nod to Schuman’s work. Moyer Bell. If anyone has this book leave a comment and let me know who designed the cover. Open Road Media has paperback and electronic editions with covers designed by Mimi Bark. 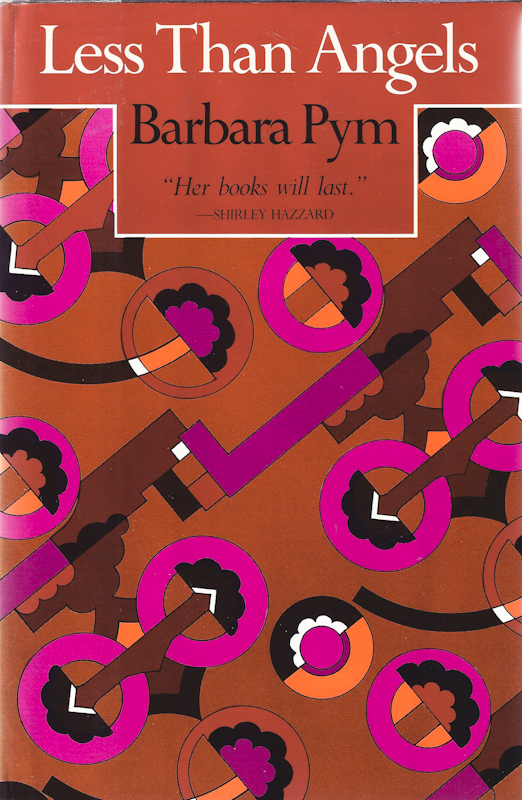 Virago’s reissue. Appealing to a younger audience? Cover art by Jessie Ford. 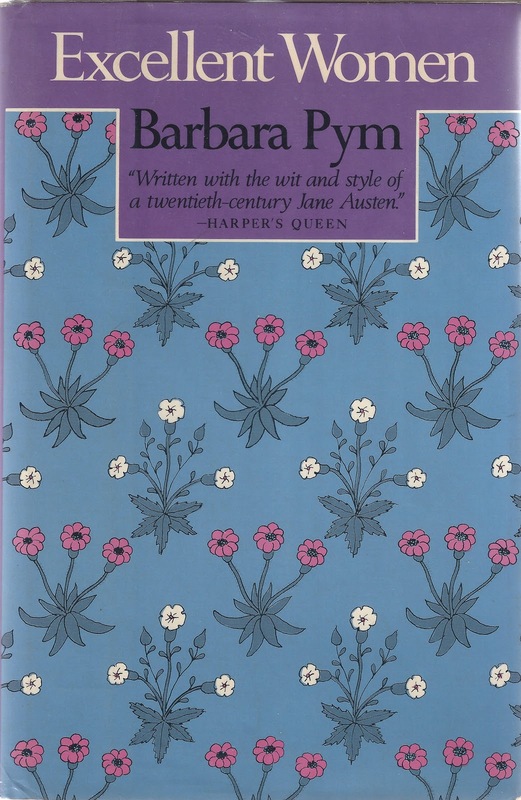 The original UK first edition. Jackie Schuman designed the background art, Neil Stuart designed the jacket, Christine Rodin hand tinted the photograph. I think this may be my favorite Pym cover by Schuman. More Schuman covers can be seen here. 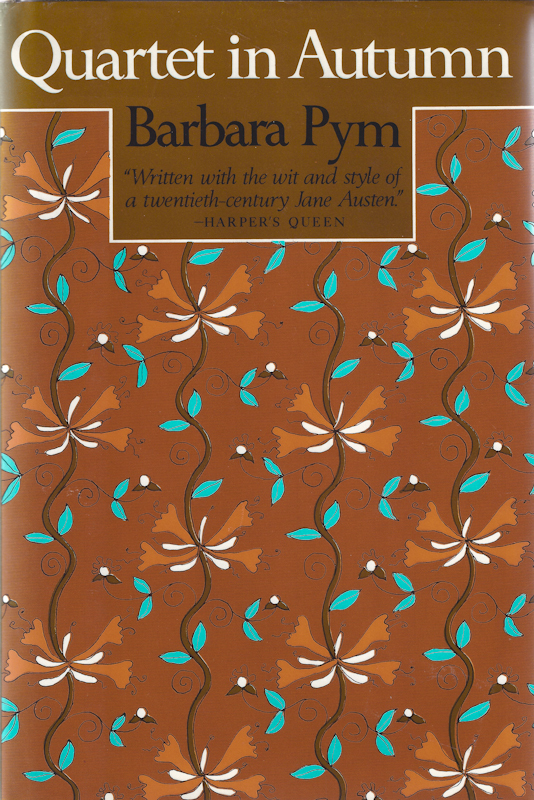 Design your own Pym cover art! Don’t forget about our cover contest. Submit via email or link in a comment by 6 AM U.S. Eastern Daylight Time on June 7th. 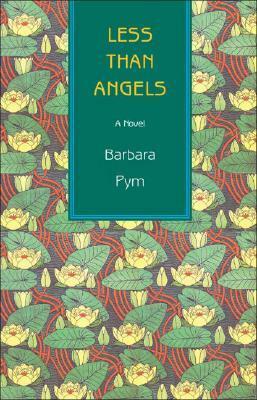 Get creative and make a cover image for a Pym novel. Extra points go to those who make it thematic to a specific novel. Multiple entries are acceptable. Paint, draw, sculpt, do a collage, manipulate a photo, you name it, just make sure you put some creativity and originality into your entry. Hello. 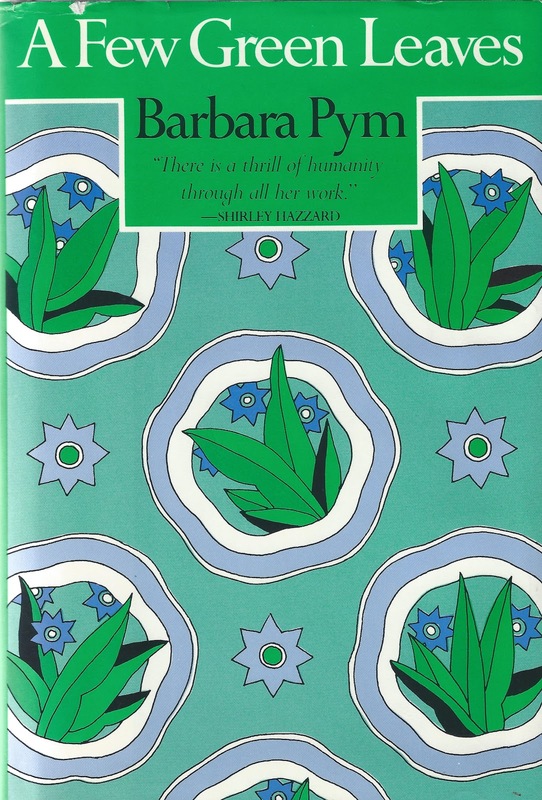 I'm enormously enjoying all your posts on Barbara Pym. 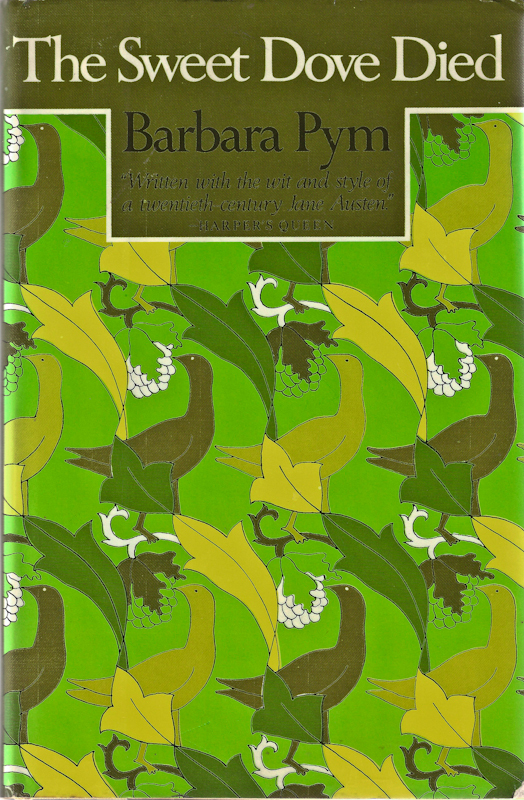 I adore your collection of Pym's novels in the most beautiful Dutton editions. 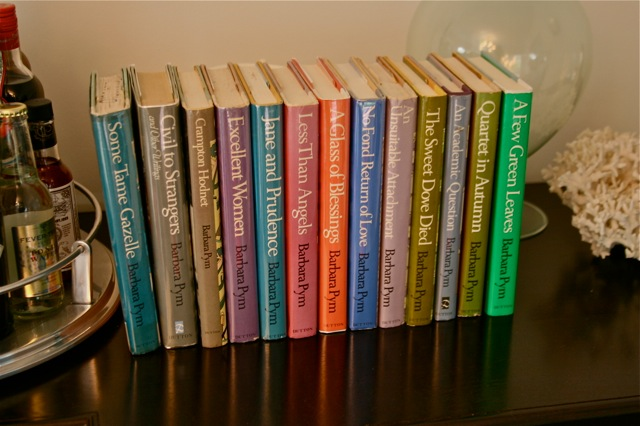 Oh, imagine the whole full set of Pym's novels, sitting proudly on one's shelf like the first photo you show in this post!! Like you, I do have a collection of Pym's novels, all in hardbacks in my library. But theones I have at home are quite old and worn (but very well loved) published by Lowe & Brydone Ltd, Norfolk. 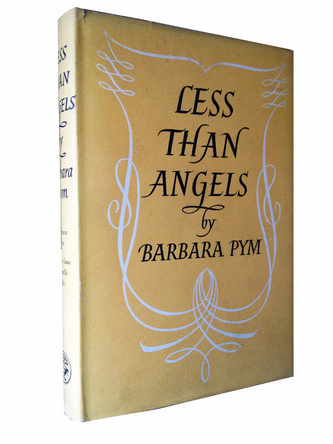 You may want to take a look at the recent post in which I showed a photo of my favourite Pym's novels. The hardback editions I have seem very utilitarian compared to your aesthetically pleasing Dutton's editions. Many thanks for sharing about the artist, Jackie Schuman. The desgin for the cover – “Civil to Strangers and other writings” is most exquisite!! I learn something new today and I'm very grateful. I shall look forward to reading all your future posts! I love the covers by Jackie Schuman. So much more appealing than those of the Virago reissues I have, which somehow convey “1950s chicklit” to me. It says on the cover of the one I am currently reading that the illustration is by Jessie Ford, so there's an answer to that question. Thomas your post was simply exquisite. I love the Schuman covers too and can see why you treasure them so much. 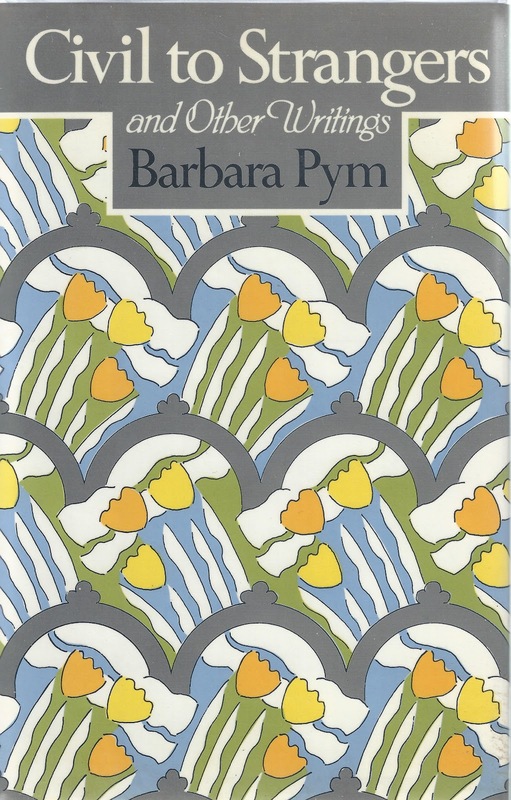 I'm currently reading Excellent Women in the Virago Modern Classics designer collection with a stunning 'striped petal print' cover designed by Orla Kiely. However, the whole time I'm rambling on about covers, I've been secretly obsessing about a job as archivist to a large old publishing house ….ahhhhhh! Great post, brilliant covers. 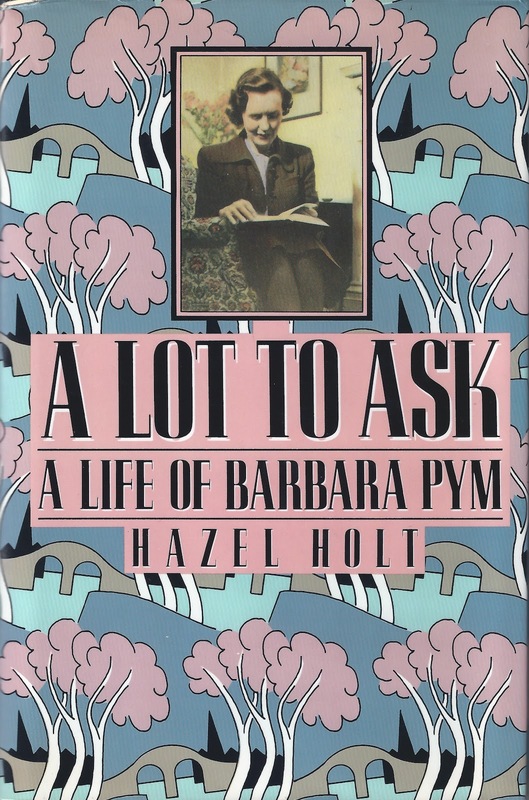 I wonder if anyone in Australia published any of her books with yet another set of covers. I will keep my eyes open when I am out and about and if I find any will let you know. Would be great fun to find an Aussie Pym. Would have to do a post about it. Onya mate- great post!! Well done, Thomas!! This is a fascinating post. The Schuman covers are definitely my favorites. What a wonderful, thorough post. Those Schuman covers really capture Pym for me, and I would love to have a full set! As I only have 2 hardbacks with these covers, I have a way to go. Thanks for all the effort you've put in to research this artist! It's fascinating information. A wonderful post – so good to know the background of the cover artist. Thank you for doing the research to share with us. 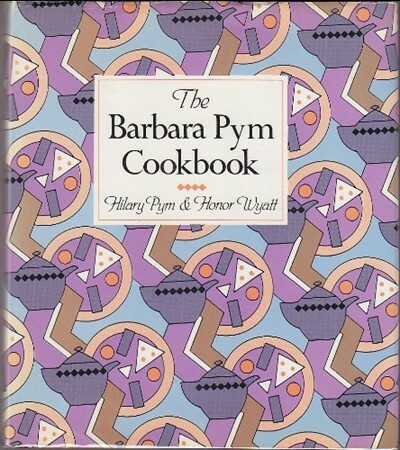 I agree (and almost said so yesterday), I like the cookbook cover the best – it's the teapots! Second would have to be the tulips on Civil to Strangers, and then the autobio/bio covers. I'm over halfway in Some Tame Gazelle and thoroughly enjoying it. I have a daughter like Belinda…just drifts off into her own thoughts in a crowd at various times…very funny to read of an adult doing it. I have the Holt bio to read next, and am kicking myself for not picking up A Very Private Eye the other day when I saw it at HPB…may have to go back and see if it is still there! Thank you for all the time and effort you are putting into Pym week – most educational and entertaining at the same time! I'm envious of your collection and would love to duplicate it! (I have two hardcovers (including the cookbook!) and two paperbacks with the Schuman covers. What a great story you've told us! Thank you. What a wonderful collection. I do envy you the original Schuman covers, they're beautiful. And how wonderful that you were able to find out more about her. I am head over heels for the Schuman covers , hard to choose between them, so I think I would have to have them all, like you. This is fantastic Thomas. And now when Jackie Schuman is googled, your post will be there! My paperback of Excellent Women has the same design as the hardcover, which I greatly admire, but the publisher is Plume. I just finished Excellent Woment this weekend and it was so amazingly good. I gave it 5 stars on goodreads, which is rare for me. So thanks, because I probably would never have picked it up without your recommendation(s). 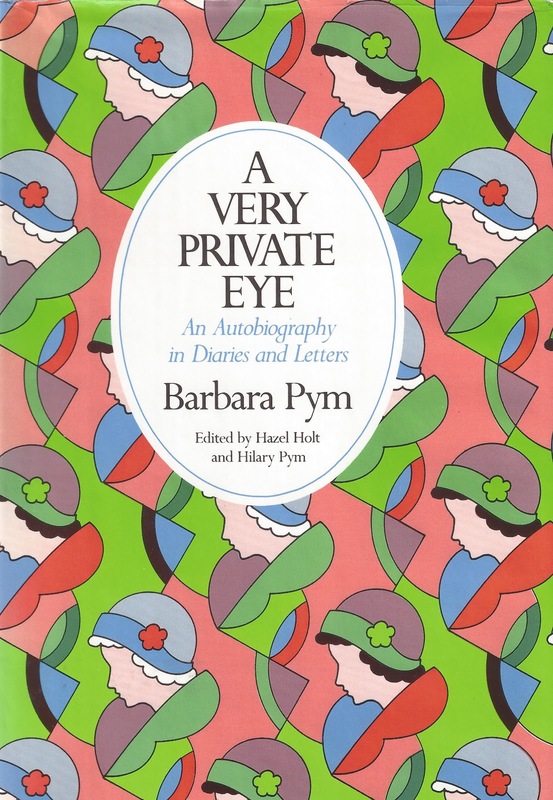 I'm really enjoying your celebration of Pym even though I haven't read any of her books and can't find them also in Karachi. Still, it's fun to go through your posts and especially this one has got me thinking about the various books I have and their covers. And what a brilliant effort on your part to actually find out more about the cover designer! Thank you–this may be my favorite blog post you have ever done. (Though the garden pictures are always wonderful!) I especially love the photo of Ms. Schuman. I love all the Dutton covers!! 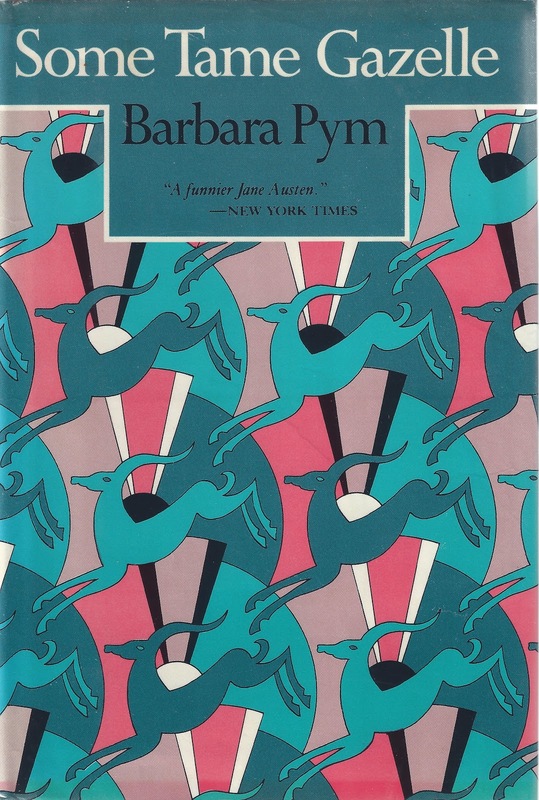 I'm starting my own Pym collection which so far consists of mostly Moyer Bell editions (sadly, no artist information to be found, but I'll keep looking). I also have a a couple of the Dutton paperbacks but now I'm sorely tempted by the Dutton hardcovers as well. 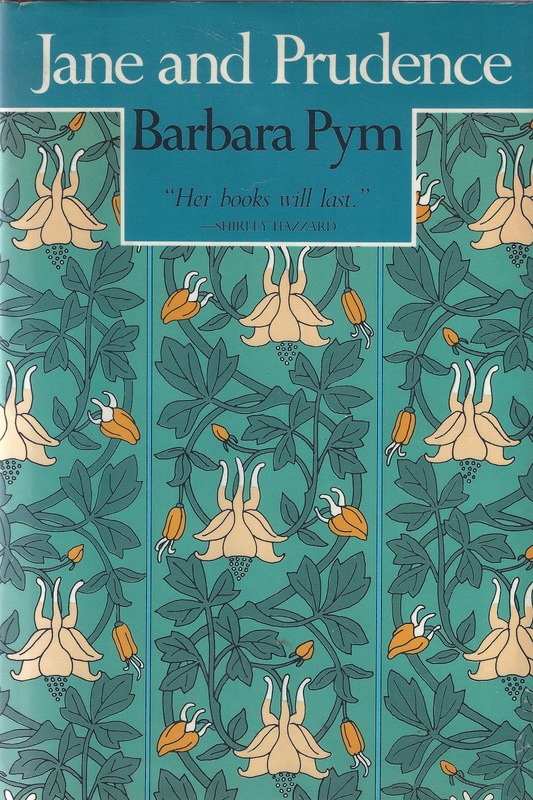 Barbara Pym is a dangerous addiction! My editions are all very random, though I do have, and like, the Dutton Crampton Hodnet. 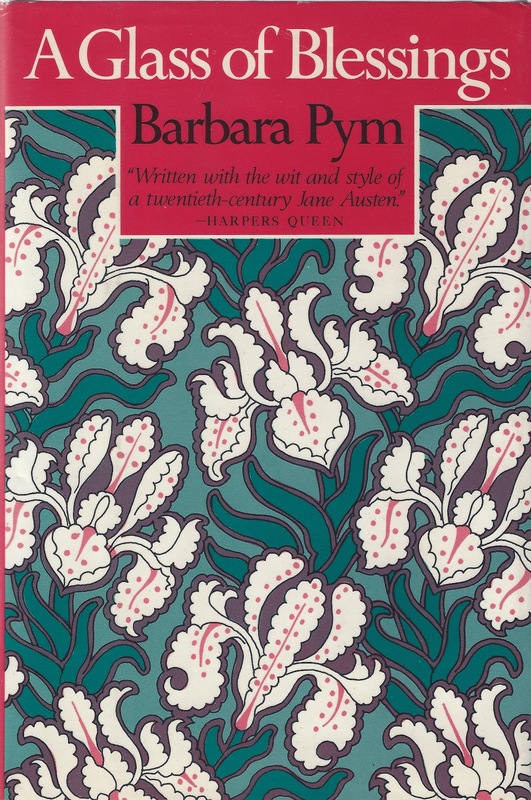 I'm not wild about the new Virago covers really, but I have several now, as I decided that this was the year I was finally going to complete my Pym collection and buy all the novels I'd been relying on the library for. 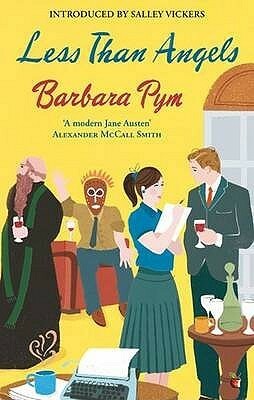 It would be lovely to have the full set in Dutton covers though, they are a joy. 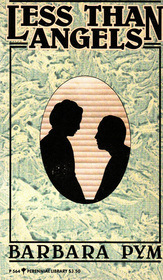 Those are the covers of the first Pyms I read a million years ago and they remain my favorites. Unfortunately, when I started collecting them so that I could re-read, I bought whatever I could find.